You have heard a lot about it, but you don’t know what it is. Sounds good. But what is museum quality picture framing? However, you are intelligent enough to figure out that it should be greater quality framing that can be used even in museums. 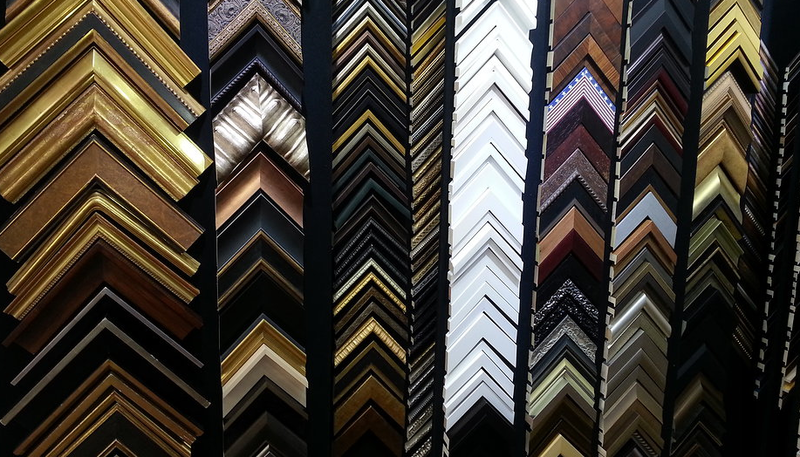 What is MUSEUM QUALITY PICTURE FRAMING? Also referred to as archival framing or preservation framing, museum quality picture framing means the kind of framing in which all framing materials used are chemically stable to keep the displayed art free from environmental effect for significantly long time. With museum quality/ archival framing, you won’t need to get your unique art re-framed again time to time. What to look for in Museum quality picture framing? Hinge means the photo/mounting corner of your artwork. Hinges/ mounting strips are usually made with polyethylene strapping. Make sure your framer is using non-adhesive hinges as adhesive hinges may ruin your art work when you need to change the framing assembly due to breakage or physical injuries. Non-adhesive hinges will be removable in such cases without causing any harm to the original artwork. Matboard is the material used in window & back mat of the framing assembly. For best results, your framers must use at least 4-ply matboard. The matboard must pass the Photographic Activity Test. Over-matting provides more protection than floating in the window. Also make sure that the mat used is made of 100% cotton rag or chemically purified & ligning-free wood pulp stock which is pH neutral or slightly alkaline. Tape used for hinging window & back mat together should be water-activated gummed linen tape for archival framing. The tape should not be touching the artwork. The glass that is used for conservative framing should be UV protective as it saves the artwork from exposure to sunlight. Also there should be a sufficiently thick-ply window mat or spacers along the perimeter of the mat. Backing board is the corrugated board used for supporting/backing the whole framing assembly from backside. Make sure that your framer is using the backing board that is at least 3mm thick. Also ensure that material used in backing board is ligning free and acid free (corrugated polyethylene or polypropylene ). Apart from backing board, there also should be a thin film made of polyester or metalized polyester that will work as moisture barrier and save the artwork from adverse effect of humidity. To secure the mat package in framing assembly, only pins or brads should be used rather than tape as they are easily separable. In museum quality picture framing the frame will usually be metal or wooden frame, never a plastic or fiber frame. If it is wood, there is a possibility of acidic discharge from wood to the artwork, so make sure that the rabbet in the wooden frame should be lined with a barrier film, that is an aluminum or polyester tape with acrylic adhesive. Also the frame should be of sufficient depth to accommodate the complete package including the backing board. The frame material should be capable enough to minimize the potential of warping, bowing & torquing. Why should you care about museum quality picture framing? – Museum quality picture framing keeps your valuable artwork or painting safe from environmental conditions for many years, no need to re-frame the artwork time to time. – The finishing quality looks so rich and beautiful that it is worth the price. It is the only suitable option for costly and precious artworks especially originals. – Apart from physical and environmental conditions, archival framing also saves the artwork from airborne contaminants, bugs & termites. At Paintbox art & framing, we offer high quality originals & limited edition art prints along with museum quality art & picture framing services, all at quite affordable price. So you get complete satisfaction over your expense like nowhere else. So if you are thinking of museum quality custom framing for your artwork, we advice you to contact us for quote. You are always free to reject, however you won’t!